Mary J. Blige fragrance and perfume list. Mary J. Blige fragrances: by Carol's daughter. 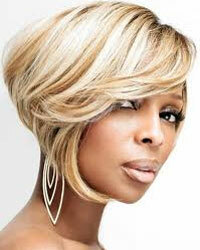 Mary J. Blige is an American singer-songwriter. Mary Jane Blige (born 11 January 1971 in The Bronx, New York) is an American singer songwriter, who won multiple Grammy Awards for her Pop, Rap, Gospel, and R&B songs. In July 2010, she partnered with Carol's Daughter to release her debut fragrance, My Life. Her second fragrance, My Life Blossom, launched August 2011, both sold exclusively on HSN.